I have gilded this unique glass bowl in white gold leaf and hand painted using the verre églomisé technique. 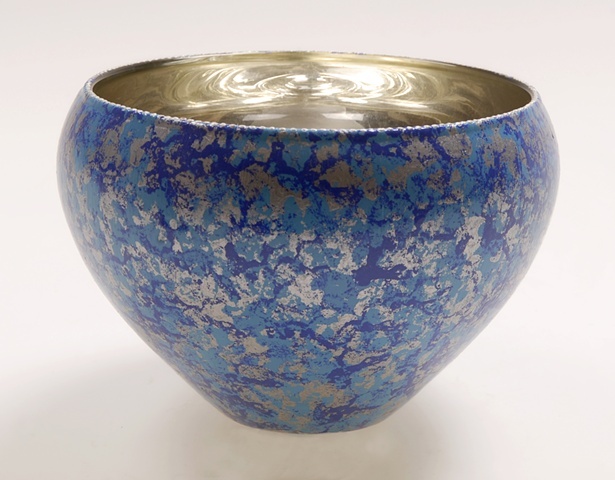 This gorgeous bowl is finished in blues and antique silver patina, and measures 5" X 4". The white gold glows so beautifully within the glass. I was inspired by reverse painting and gilding on glass on a trip to Murano, Italy. My glass art pieces are all one-of-a-kind. 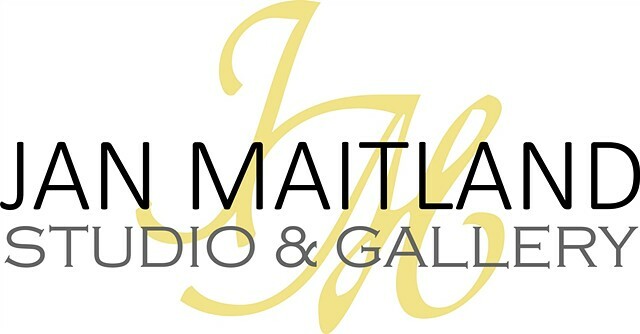 Each is individually hand painted and gilded with 23-Karat gold, white gold or silver leaf. This process is called verre églomisé, a term for cold painting and gilding on the back of glass. Enjoy, use, and gently hand-wash.
Ready to Ship with Free Shipping in the US.